Mexico 2, USA 1 – Rafael Marquez, Mexico finally break the “Dos a cero” curse. COLUMBUS, Ohio. 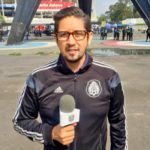 In the eighty-ninth minute, Rafael Marquez headed a goal that broke the “Dos A Cero” curse, as Mexico beat the United States 2-1 in their opening match of CONCACAF’s final phase of World Cup qualifying. Miguel Layun (20′) also scored for Mexico, while Bobby Wood (49′) scored the USA’s only goal. However, not all the news was good. Mexico would lose captain Andres Guardado in the 25th minute to a leg injury. Mexico started the match bravely, knowing that they needed to break open the United States early. The attacks asked questions of the Stars and Stripes‘ line of three, but did not create any clear cut 1v1 chances until the 17th minute, when Jesus Manuel Corona’s long distance shot rang off the post. 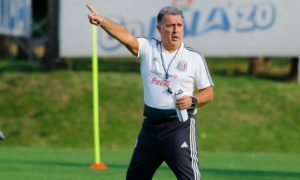 A few minutes later, the “shoot from anywhere” approach worked for El Tri off of a quick restart in the 20th minute, as Guardado worked the ball to Layun whose shot from 25 yards out beat Tim Howard to open the scoring. After the opening goal, the game’s flow somewhat disrupted. Javier Hernandez was well defended at times throughout the first half, and there were two forced changes for injury–Andres Guardado in the 25th minute and Howard, who conceded Layun’s goal, went off with a hamstring injury right before the stroke of half time. Carlos Vela did have a chance on goal in that time, and could only head a cross off the crossbar. However, one trend that started to worry Mexico over the first half lead to Mexico losing its first half lead. Stars and Stripes attackers started to breach the Mexico block, but Mexico were helped by Jozy Altidore’s poor control and decision-making. In the 49th minute, an indecision by Hector Herrera out wide with an oncoming trap was the mistake that led to the attack on the foot on a Germany-based player and not an MLS player, and Bobby Wood equalized the score. After the goal, the Mexico started to find their way to regain their composure. But the game started to get tactical, as the USA changed to a more defensive approach, and Mexico started to lack the required ruthlessness. But after the USA failed to convert a free kick on a foul that some USA fans would argue was a penalty, El Tri regained their footing in the game. 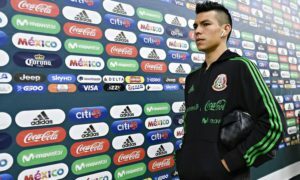 And one minute from the end of regular time in the second half, Rafael Marquez headed a corner kick delivery past Brad Guzan to give El Tri the points. Layun’s delivery found the Atlas defender, who had dismarked Jozy Altidore inside the six yard box, and Marquez executed the simple finish. However, not all was good news at the end as Carlos Salcedo was sent off in second half stoppage time. The Fiorentina center back will miss the team’s match against Panama, and several players could be in danger of picking up suspensions for Mexico’s matches in the beginning of 2017. The win, the first by Mexico in a World Cup qualifying match in the United States in five cycles, was significant. 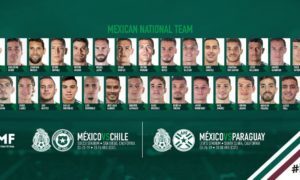 But in terms of the standings, with Panama and Costa Rica all winning away earlier in the day, Mexico had to win to be in the automatic World Cup places. In this round, they finished the round in a tie for second place with Panama. Mexico and Panama will play each other in Panama City on Tuesday, November 15 in Panama City at 9:00 PM EST. For the United States, they will travel to San Jose to take on table leaders Costa Rica, who dispatched of Trinidad and Tobago 2-0 in Port of Spain.